IOWA CITY — A relatively low portion of accidents between farm equipment and passenger vehicles involve alcohol. But those that do tend to be more dangerous and deadly, according to a new study out of the University of Iowa. Karisa Harland, UI adjunct assistant professor of emergency medicine, led the National Institute for Occupational Safety and Health-funded research from the UI’s Great Plains Center for Agriculture Health. She said the hope for the study — published this month in “Traffic Injury Prevention,” a bimonthly peer-reviewed journal — is to educate motorists and farmers and encourage preventive practices. “From a farmer perspective, they need to make sure that their equipment is well lit,” Harland said. The study comes at an especially relevant time after former reality TV star Chris Soules in April crashed his truck into the back of 66-year-old Kenneth Mosher’s tractor just north of Aurora. Soules, 35, was charged with leaving the scene of a fatal crash, as Mosher died in the collision. First responders found empty and partially consumed open alcohol containers in and around Soules’ truck, and he also was seen buying alcohol before the crash, according to court documents. His attorneys reported two urine and blood samples were negative for drugs or alcohol, but authorities said Soules went home after the crash and refused to open the door until law enforcement obtained a search warrant hours later. His trial is scheduled for Jan. 18, and he faces up to five years in prison if convicted. Harland, who started her research in 2011 and wrapped it earlier this year, said the case hit the news as she was absorbed in her study and analyzing its findings. “If felt like our research was timely,” she said. But the Soules case bucked her study’s findings — that odds of an injury or fatality are more than two times higher for passenger vehicle drivers than for those operating the farm equipment. “If you have a gigantic combine and a small car runs into it, the car is going to absorb all the energy and therefore that person is more likely to be injured,” Harland said. That size difference likely explains why alcohol-related collisions between farm equipment and passenger vehicles — while less frequent than standard vehicle crashes — more often have devastating consequences. “If we’re looking at only crashes that involved alcohol impairment, which we had 61 of those, then 75 percent of those 61 had either an injury or fatality,” Harland said. Her research analyzed data between 2005 and 2010 from four regional states — Iowa, Missouri, North Dakota, and South Dakota. Researchers found data for 1,971 total on-road farm equipment crashes — with Iowa reporting the most crashes, at 1,023, and North Dakota reported the fewest, at 165. But North Dakota reported the highest percent involving alcohol, at 6.1 percent, while Iowa reported the fewest involving alcohol, at 2.4 percent. The 61 total alcohol-related farm equipment crashes has them accounting for just 3.1 percent of the total — which is smaller than for standard vehicle crashes. One in 20 of the farm-equipment crashes resulting in injuries, or 5.6 percent, and one in six of the fatality crashes, or nearly 18 percent, involved an alcohol-impaired driver. Meanwhile, 30 percent of standard fatal motor vehicle crashes involve alcohol. Reasons for the difference could include timing, Harland said, as farm vehicles aren’t on the road as often and aren’t as prevalent at night, outside urgent harvest seasons. “Other than in the fall when they’re maybe working 24/7, or the spring … my hypothesis would be that the farm equipment is probably not on the road at night when there is more likely to be an alcohol involved crash,” she said. But because farmers in this and neighboring rural states do sometimes have to traverse the roads at night, Harland said her research sheds a spotlight on the risk of doing so and the need to improve awareness and prevention efforts. “Although these crashes with alcohol are rare, three percent, when it does happen, there are severe consequences,” she said. BROWN DEER, WI (WISN/CNN) – A woman arrested in Wisconsin for first offense drunken driving called a friend to pick her up at the police station, but that friend showed up drunk. When the man arrived at the Brown Deer Police Department, he became the subject of an investigation after officers smelled intoxicants on his breath. That suspicion triggered field sobriety tests that were administered right in the police station’s lobby. The tests didn’t go well, and the man was arrested for operating a vehicle while intoxicated. “Fortunately, sometimes a poor decision is followed up by somebody else’s poor decision when they’re trying to help,” Officer Nick Andersen said. Police double-checked that the person who finally picked up the pair of OWI suspects from the station had not been drinking. “Today with the call a friend, Uber, Lyft, taxi, there’s so many options out there that there’s really no excuse left,” Andersen said. A Los Angeles police officer was seriously injured when a man allegedly driving while impaired crashed into his patrol SUV on the shoulder of the San Diego (405) Freeway while he was outside the vehicle conducting a traffic stop on another motorist, authorities said Tuesday. 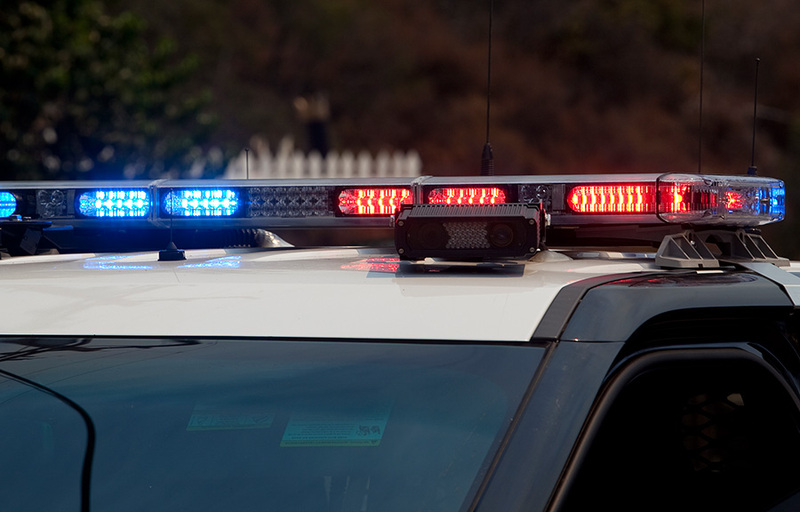 The crash occurred at 11:47 p.m. Monday on the northbound freeway near Santa Monica Boulevard, California Highway Patrol Officer Tony Polizzi said. The officer had just pulled over the driver of a Honda Accord for alleged speeding, and he was outside his 2014 Ford Explorer SUV, which was parked behind the Honda, when a 2003 Infiniti Q35 crashed into the SUV, which then struck the officer, the CHP reported. The officer, whose name was not released, suffered a “major” injury, the CHP reported. According to reports from the scene, the officer suffered a serious leg injury. He was hospitalized in unknown condition. An LAPD spokesman declined to provide a condition report, citing privacy concerns. Perreira said CHP officers were driving in the area a short time after the crash occurred. CHP officers arrested the driver of the Infiniti, 34-year-old Douglas Donovan of Woodland Hills, and booked him on suspicion of driving under the influence of alcohol and/or drugs, the CHP reported. He was not injured. The driver of the Honda also was not injured. All northbound lanes were closed until about 6 a.m., when two lanes were re-opened, the CHP reported. By about 7:30 a.m., all but one northbound lane had been re-opened. The remaining lane was re-opened a couple of hours afterward. Anyone with information on the case was urged to call the West Los Angeles Area CHP office at (310) 642-3939. COLUMBUS – Authorities say an Ohio man took cellphone video of himself drinking while driving and posted it on Facebook, leading to his arrest hours later. The Franklin County sheriff’s office says someone tipped off deputies about the video after it was posted Monday, and the vehicle was stopped that afternoon south of Columbus, in Hamilton Township. Rittgers pleaded not guilty Tuesday in Franklin County Municipal Court. Rittgers had no publicly listed phone number, and his public defender couldn’t be reached for comment early Wednesday. 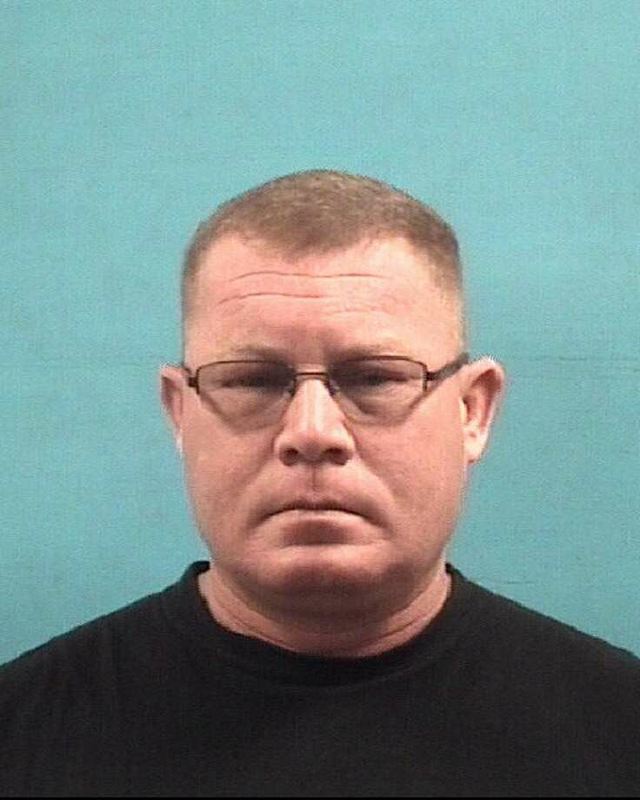 A 16-year veteran of the Pearland Police Department was charged Saturday with driving while intoxicated, according to the department. Officer Michael Gebert “was in uniform and driving a department patrol vehicle at the time of the incident,” the department reported. As a result of the incident, the department as opened an internal affairs investigation. Gebert, 42, was immediately placed on administrative leave. Gebert originally joined the department in 2001, and has earned recognition for the quality of his work throughout the years. “I believe he was the traffic division officer of the year one year,” said Department Spokesman Capt. Onesimo Lopez. How scientists and bureaucrats conspired to make American roads safer for driving. Eighty years ago, science slipped into the backseat of your car, rolled down the windows, and made itself at home. It has remained there ever since. In 1937, the first drivers were fined for drinking and driving based on evidence from a newfangled device called the “drunkometer.” It could figure out how much you’d been drinking based on what you exhaled, and it fundamentally reshaped our relationship with liquor, not to mention the relationship between lawmakers and local police. Technology often arises to solve a problem, and this was no exception. Drunk driving had long been a problem. Before Henry Ford was born, drunk drivers got behind the reins, causing mayhem and destruction with horse and buggy. As late as 1915, when Ford’s Model T’s were already tootling about, a Georgia man named Vince Sullivan tore down the road at a high rate of speed in his horse-drawn carriage. He swore loudly as he passed a church then swerved into a yard and tore up a garden fence. He was arrested for drunk driving (also referred to at the time as “drunk and driving” or “driving while drunk,” but never “drink driving,” as the British have awkwardly phrased it). But this definition gets at a central point: For years, behavior defined inebriety, not consumption. If you acted like a drunk and damaged property or person like a drunk, you were drunk and unfit for the road and subsequently could be jailed or fined. For obvious reasons, this became more of an issue with the rise of the internal combustion engine. As horsepower increased and speed limits rose, the consequences of piloting a couple of tons of hurtling steel with impaired reflexes—and without a sober horse as co-pilot—grew more dire. The first recorded arrest for drunk driving in an automobile took place in London in 1897, when a sodden 25-year-old taxi driver plowed into a grocery wagon. The first American laws against driving a motor vehicle while impaired were passed in New York in 1910, at which time the United State was home to nearly a half-million automobiles. And the goal of the constabulary soon shifted more to detecting drunk drivers before they caused damage or death. At the outset, drunkenness was determined by observation. If a car was moving erratically, the police were empowered to pull it over and administer a field test. The officer would sniff the driver’s breath, and then would ask the suspect to follow the tip of a pencil with their eyes, stand on one foot, or walk a line the officer had drawn on the pavement in chalk. Another test was to ask someone to say “Methodist Episcopal” three times in a row. Such tests were of course subject to grading on a curve. A well-known local doctor might be deemed sober enough to continue home, but a similarly soused warehouseman might be frogmarched off to the hoosegow to sleep it off and be levied a fine. Also, these tests lacked a certain scientific rigor. So scientists showed up, clipboards in hand. In the 1920s, a Swedish toxicologist named Erik Widmark, a giant in forensic pharmacology, developed protocols for analyzing blood to determine how much alcohol a person had tippled. The early approach was intrusive—five small tubes of blood would be collected from your earlobe, and then a carefully measured portion placed in a small cup over a solution, which changed composition and color as the ethanol in the blood evaporated. (Five samples were needed for multiple tests to ensure reliability.) While Widmark’s blood tests were widely employed in Europe (Nazi Germany embraced them in 1938; Sweden established a limit of 0.08-percent blood alcohol in 1941), the blood test was largely resisted in the United States as being overly invasive. Addressing the problem, several devices appeared soon after that could estimate how much alcohol was in your system by testing your breath, which science had calibrated to match the alcohol in your blood. Dr. Emil Bogen of California used chemicals held in a football bladder for his device; an inventor in Chicago named W.D. McNally developed a similar instrument that got wide play in the popular science press, although it never caught on. In 1931, Dr. Rolla N. Harger of Indiana University developed and named a breath-based testing unit he called “the drunkometer” as a joke, but the name stuck. The suspect would be asked to inflate a balloon, the contents of which would then be passed through a purple mixture of potassium permanganate, sulfuric acid, and water. Trace amounts of alcohol would alter the purple color of the solution. This would be compared with the color of test tubes prepared from samples of people whose alcohol blood content levels were known. By 1937 the results were accepted by state courts in Indiana; two drivers that year were fined $5 each for drunk driving. In 1939 Indiana passed the first state laws linking degrees of intoxication with alcohol blood levels, defining drunkenness as having a blood alcohol content of 0.15-percent—nearly double the common threshold of 0.08-percent today. 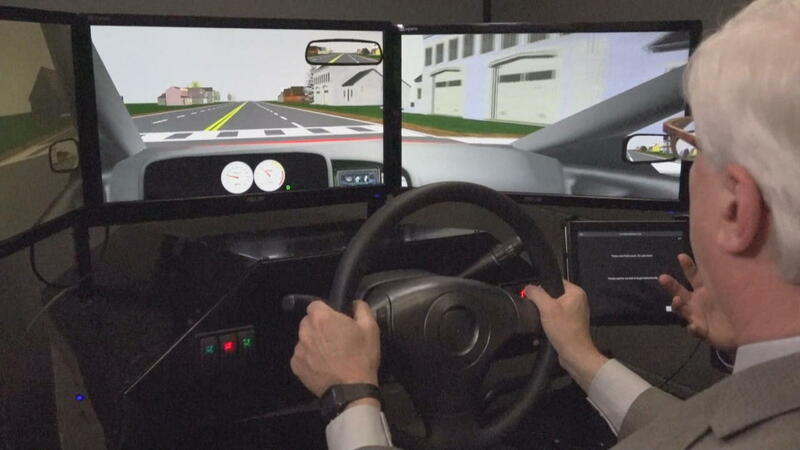 “Science is replacing guesswork in obtaining evidence in drunken-driving cases,” The New York Timesreported. Technology is adept at shrinking things down if nothing else. Today’s breathalyzers are smaller and far more complicated internally—most employ a fuel cell with two electrodes bridged by electrolytes. The ethanol in the breath is broken down by one electrode into acetic acid, while the other extracts oxygen, creating a mild electric current between them. A microprocessor analyzes the current, and calculates how much alcohol is present, which is converted to a blood alcohol content percentage. For about $25, you can now buy a BACtrack analyzer that fits on a keychain, and instantly gives you your blood alcohol level in cheerful red numbers with reasonable accuracy and reliability. As the technology has gotten smaller and easier to use, it has enabled social control to be more easily corralled by centralized authority. In the past century, drunk driving has gone from being a matter of local discretion to something now tightly regulated from above. Thanks to science, states first took the power to determine who was drunk away from local police by establishing blood alcohol levels. Later the federal government took that control from the states by making the 0.08-percent blood alcohol level a virtual national mandate by controlling grants for highway construction and the like, most notably with 1998 legislation signed by President Bill Clinton. As we mark eight decades of laws based on what was once called the “chemical breath smeller,” we thus mark the rise of science and federal oversight, with the incontrovertible result that society has become safer as a result. At a time when science seems widely mistrusted and the federal government widely loathed, it also may mark the last time that a dramatic, national policy backed by facts and overseen by legislators in Washington has gone unresisted, virtually unremarked, and hailed for its impressive track record of success. LEBANON, OR (KPTV) –Linn County Deputies said a drunk driver was arrested after driving into a house in Lebanon. Deputies responded to the crash on Hayden Road at 10:25 p.m. Saturday night. 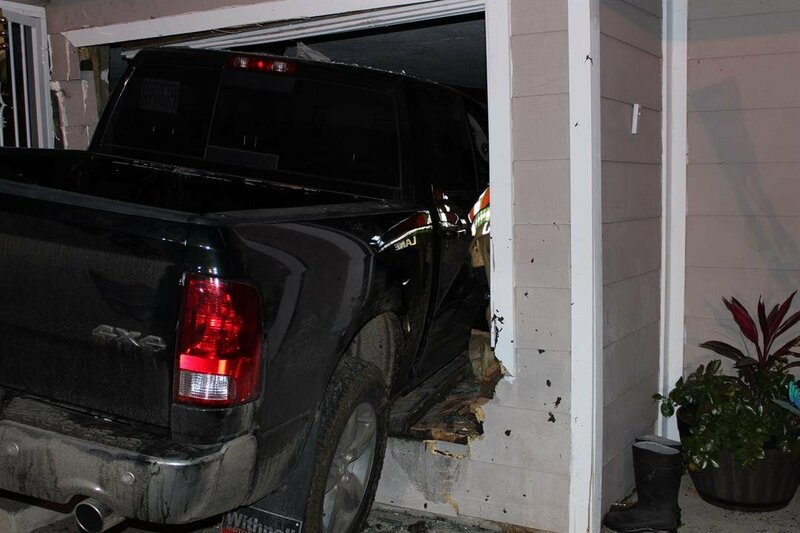 When deputies arrived, they found a 2017 Dodge Ram1500 pickup had crashed into a house. Deputies said the people living in the home were not in the front part of the house at the time. The Linn County Sheriff’s Office identified the driver as Haven Austin Hansen, of Lebanon, and his passenger, Leif Jacob Erickson, of Sweet Home. Deputies determined alcohol was a factor in the crash. Hansen was arrested for driving under the influence of intoxicants, reckless driving, and driving while suspended misdemeanor. Deputies said Hansen’s blood alcohol content was almost three times the legal limit. The Lebanon Fire Department helped the family in boarding up the front portion of the home. Deputies said the investigation is continuing.